It’s been almost a year since I started doing client work, and I figured it would be appropriate to share some lessons that I’ve learned so people can avoid or mitigate some of the big pitfalls that happened to me. This is really intended for anyone who is self-employed and doing freelance work, not just designers. When doing freelance work, more often than not you’re going to get asked to do low-paying or free work. Don’t. Unless it’s a cause near to your heart or a family member, you’re really just being used as cheap labor. If you want to make this your job, make sure to treat it like one. If you were working anywhere else, imagine being asked to come into work and do what you normally would, but you’re not going to get paid today. Sound insulting? It is. Sometimes you have to ignore the previous convention and say yes to something that’s underpaying. However, only do this if you can guarantee it will be a good investment. Ideally, you should be able to ask for a favor from them in the future of equal value. Do some math: figure out what a good hourly rate is for yourself and what you feel comfortable charging. Then don’t ever go under it. If you’re constantly undercharging or underquoting, you’ll become known as the go-to “cheap” freelancer; and that’s a hard title to shake. You’ll also like the work more if you feel like you’re valued. When quoting, it’s always good to overcharge by a little bit so you can negotiate down to your actual rate. That way both parties feel as if they’ve won something (this is a good tactic when negotiating anything). When people ask for a quote before hearing about what they want, you’re setting yourself up for a disaster. Getting an idea of the complexity of their needs will help you make a quote and make sure your quote fits with what amount of work you’re willing to do for the money. Also, make sure to ask what their budget is, too. This way you can also scale the complexity of the work to how much they’re willing to spend. 6. Contracts are useless, but you should still have one. Contracts are typically incredibly costly to enforce and are not always legally binding. Instead, use them as a way to set up a good working relationship with your client. Outline specifically the number of deliverables and make sure they know that you’ll be charging more for anything over it. This way nobody is surprised by charges or work. Also make sure to have an non-refundable advance for your work. If your client wants to pull out halfway through, you’ll at least get paid something for what you’ve done. 7. Stick to your contract. 8. Your job as a freelancer is to interpret. You’ll find that most clients won’t have the vocabulary that you use to describe or critique your work. That doesn’t mean they’re stupid; they’re just speaking a different language. When they say “It needs a ‘wow’ factor” they might actually be saying “The header needs more color contrast.” It’s your job to ask questions and to uncover their real meaning. 9. Make your service unique and desirable. There are tons of freelancers out in the world. Many of which charge less than you. What makes you special or desirable? Be able to articulate it to your potential clients. Give them a good reason to choose you over anyone else. It’s really easy to fill up your day with tons of clients, but if you’re not also taking time to do your own personal work, you’ll burn out. 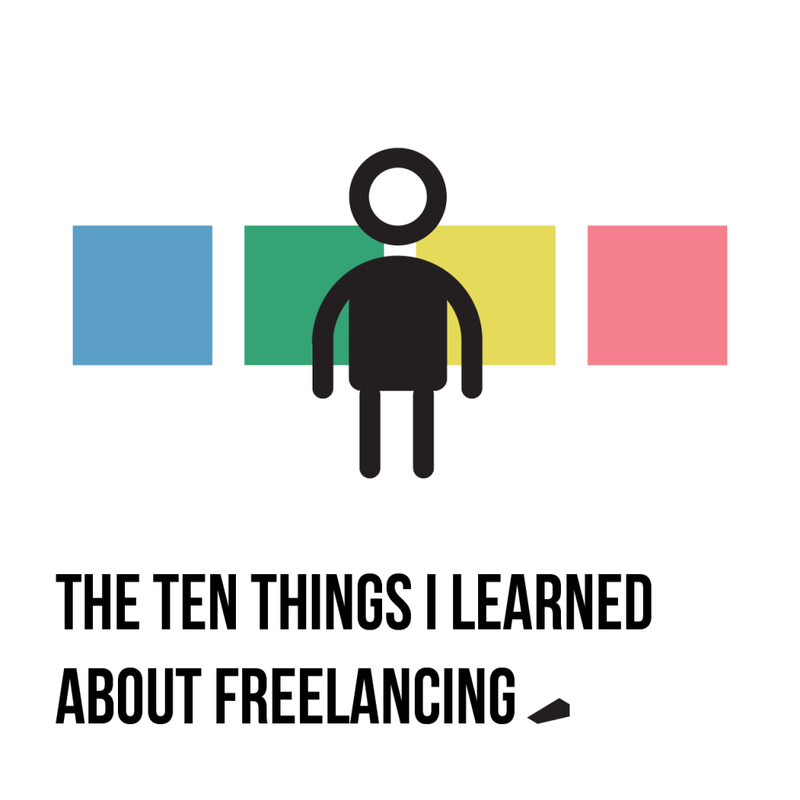 You started freelancing because you wanted to do your work on your own terms. And if you’re only doing other people’s projects, your passion is going to become to feel like drudgery.